Tom, who walked the southern half of the Path aged 6, in front of the distinctive outline of Hay Bluff. Offa’s Dyke is a great frontier earthwork built by Offa, King of Mercia from 757 to 796 A.D. 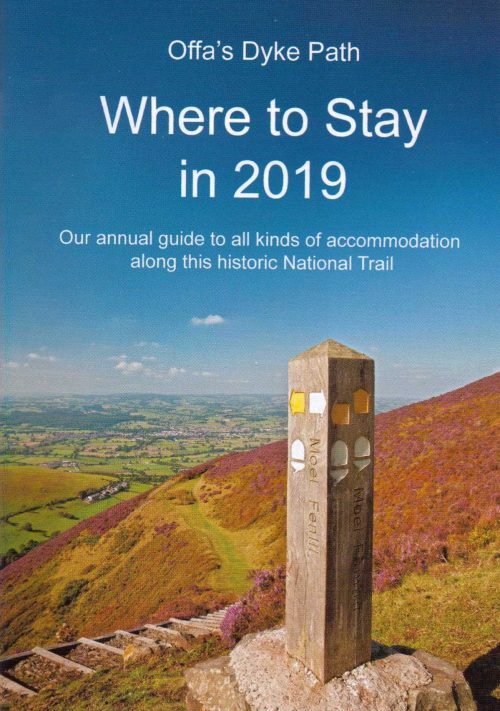 It gives its name to a long distance footpath, one of Britain’s National Trails, which runs for 177 miles from Sedbury, near Chepstow, to Prestatyn through the varied and little-frequented landscapes of the Welsh Marches. The Offa’s Dyke Association was set up in 1969 to provide a link between walkers, historians and conservationists and those who live and work locally. All persons and organisations interested in the Welsh Border region are invited to join. Full membership is £20 individual and £25 joint / family a year. The Association is an active member of the Offa’s Dyke Collaboratory and we encourage anyone with more than a passing interest in the monument to consider registering with the Collaboratory, which costs nothing. The Radnorshire Society, established in 1930, is concerned with the archaeology and history of the historic county of Radnorshire (now part of Powys). http://radnorshiresociety.org/ An almost complete set of The Transactions of the Radnorshire Society can be viewed in the Frank Noble Library in the Offa’s Dyke Centre. Information about the Clwydian Way. Information about the Heart of Wales Line. A comprehensive guide to this beautiful railway line that runs through Knighton, from Shrewsbury to Swansea, featuring over 230 pages and 35 interactive maps. The South West Way Coastal Path is Britain’s longest National Trail – over 600 miles! It starts at Minehead in Somerset and goes right round the South West Peninsula as far as Poole Harbour in Dorset. It has part of the Somerset coast, the North Devon coast, all Cornwall, the South Devon coast, and nearly all of the Dorset coast. The South West Way Association was formed in 1973 with help from the ODA, and is now known as The South West Coast Path Association. Plenty of information is available about the coast path for those who wish to walk all, or indeed part, of it. 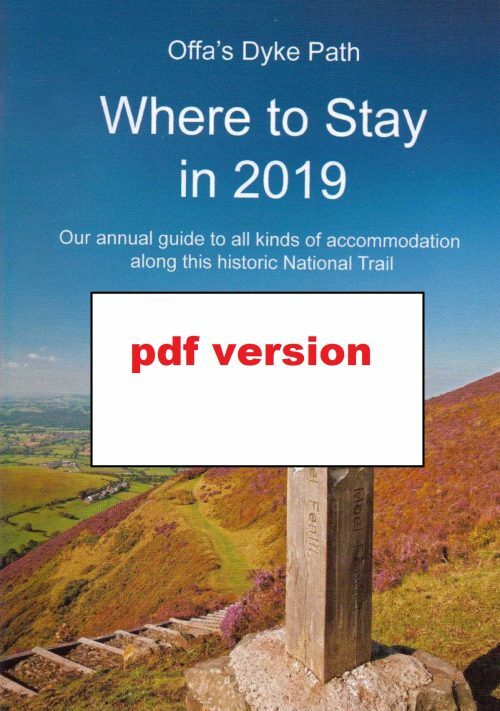 An Annual Guide Gives a full trail description, comprehensive accommodation, ferries, local transport, and other useful information. A series of 50 detailed path descriptions are also available. In recent years we feel substantial progress has been made in improvements to the route and in the general standard of maintenance. This is not to say that further work has not to be done. The more people that can support the Association, the sooner there will be a path that can give more enjoyment to a greater number of people. The Offa’s Dyke Centre is in Knighton, Powys. The attractive purpose-made building was opened in 1999. It is 200 metres west of the Knighton town centre clock, and overlooks the town’s riverside park and play area. The Centre houses an exhibition on the Dyke and its history, the Offa’s Dyke Association service for walkers on the National Trail, and the Knighton Tourist Information Centre. 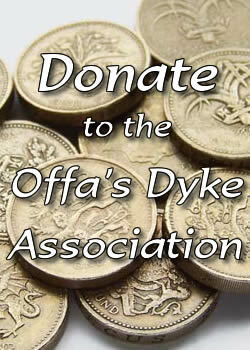 E-mail oda@offasdyke.org.uk,or contact the Centre Manager, ODA, West Street, Knighton, Powys, LD7 1EN (SAE please). Phone 01547 528753.